The Covey Agency // Blog // What’s the best social media platform for your business? Not all companies have to use the same social media platforms. We have the experience of designing and implementing social media strategies for a wide range of clients and industries. Industry – What platforms do other companies within your industry utilise? What platform will work best for the content you will be sharing? Demographics – Think about your target audience. How old are they? What gender are they? When are they most likely to be online? Content – What is your content strategy? Will it be mainly image or written? Are you promoting information / products / lifestyles…? Cost – Do you have some money to put behind paid adverts or will it be purely free? Businesses use social media as a way to interact and engage with their current and prospective customers. With so much choice out there, we’ll try and explain how the most popular platforms work and how to choose the right channel for your business. If social media were a country, Facebook would be its king. It won’t come as a surprise to most that Facebook is the most popular social media platform out there. With 1.32 billion active daily users and no signs of its popularity declining, Facebook is hitting 2.234 billion users in the second quarter of 2018. 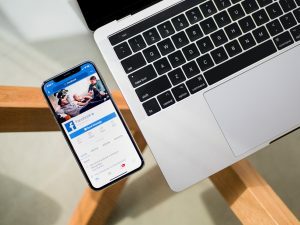 Whether your objective is brand awareness, lead generation, conversions or just getting more traffic to your website, when used correctly Facebook will help you reach your goals. However, it’s not easy for companies to share their content on Facebook for free anymore. The times where small brands became international thanks to the platform are gone. In order to have your content shown, Facebook encourages you to put money into its ads and/or paid boosting. A well-run Facebook page can target existing clients and prospects very accurately, reach people with a very specific interest in your brand or product, and bring you an excellent ROI. 3 Most-Followed People: Katy Perry (107M), Justin Bieber (104M) and Barack Obama (102M). 3 Most-Followed Brands: Play Station (15.7M), Chanel (13.3M) and Xbox (12.9M). Twitter’s main features are immediacy and concision, making it excellent for services that have to offer up-to-date information, such as bus companies, airports or stations. Technology companies are also very active on Twitter. In addition to their main accounts, many of them have a support account to create engagement with their existing users. For example, Apple’s Twitter account (2.3M) has never published a tweet whereas Apple Support (948K) offers tips and short tutorials on how to use their products. Twitter is also an excellent tool for news. The two most-followed newspapers in the UK and the US are The Guardian (7.3M) and The New York Times (42M) respectively, and the two most-popular broadcasters are BBC News World (23.8M) in the UK, and CNN Breaking News (54.3M), in the US. Back in 2013, Facebook paid $1 billion for Instagram. At that time, there were 30 million users and zero revenue stream. The platform has grown steadily ever since, now with 500 million daily active users Instagram is another powerhouse social media platform. Instagram is based purely on images and videos. Mainly mobile-based, you have unique filters and editing options so it’s well suited to artistic markets. Users and brands can share content, messages and hashtags. Clickable links aren’t allowed – except in the paid adverts. 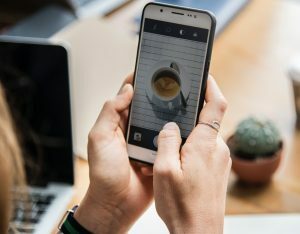 Instagram is a fantastic platform for products that are visually attractive, such as restaurants, cafes, theatres or clothes shops. Like Instagram, Pinterest is about sharing images. Users upload their images and put them in different boards, as well as creating board with pictures that other people have shared. Unlike Instagram, you can include a backlink in every picture you upload to Pinterest. This makes the platform an excellent option for e-commerce, since people can go to another page to purchase your products. Pinterest is popular with companies that fall into the following categories exercise, fashion, food & drink, DIY and beauty. These types of companies tend to do very well on Pinterest, but this isn’t to say that other types wouldn’t. Snapchat is synonym of brevity. Messages are only accessible for a short period of time and deleted once tagged people has seen them. You can have an image or video within your business story, this would be visible for 24 hours. 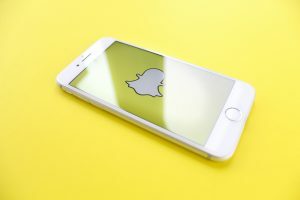 With over 300 million active users, Snapchat is particularly popular with younger generations. Almost half its users are aged between 18-24, if you’re tackling millennial’s, you should include it in your social media marketing strategy. Still unsure about social media? We can help. Call us today on 0131 652 6150, or drop us a message and we’ll get back to you. You can also pop into our office for a coffee and a chat to see how we can help you. Please note figures in this article are the most updated ones at the moment of writing in September 2018.